After having practiced a lot with great designs by Hyve and Soren, I felt like trying a cruiser of my own again. 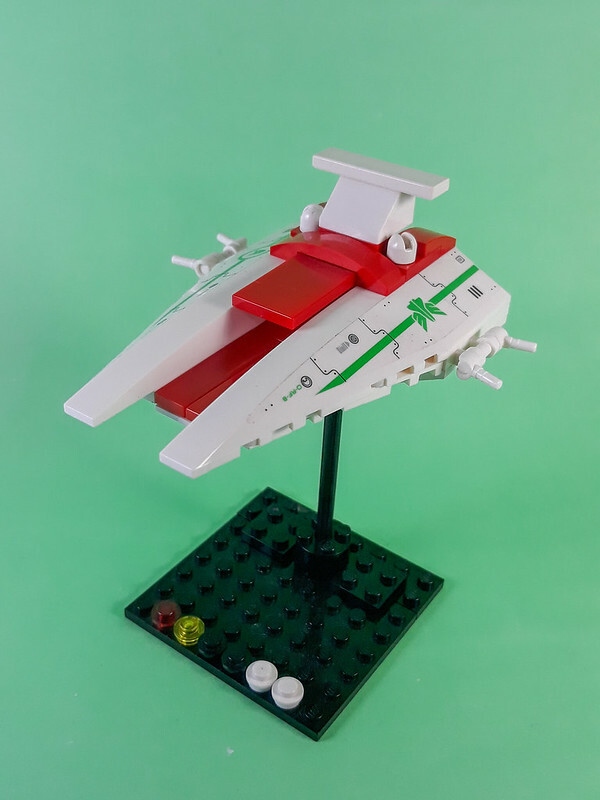 I always loved the republican cruisers from the Clone Wars, this mostly an homage mash up of them. Acclamator proportions with Venator's ventral landing bay plus some original details that I felt like throwing in! It's amazingly light on parts, since most of the bulk is comprised of two big slopes from a Galaxy Squad set.